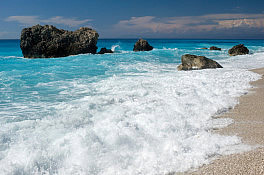 The Beaches that can be found around Lefkada Island are truly stunning - typical Picture Postcard type paradises. 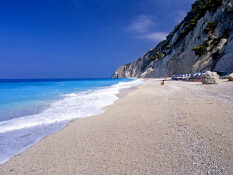 The Lefkada Island Map on our website will show where these magnificent beaches are. 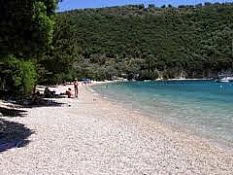 There are boat trips from Vassiliki to some of the beaches or they can be got to by car or we can arrange day trips to take you there. 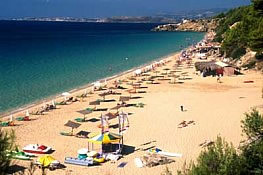 Pefkoulia is a very beautiful beach just 1.5 km from the village of Agios Nikitas. 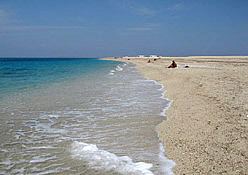 Pefkulia is between the village of Tsoukalades (around 3 km) and Agios Nikitas. 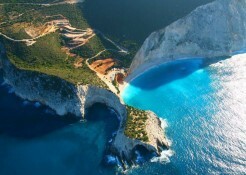 You will be amazed by it’s beauty, and the clear blue water. 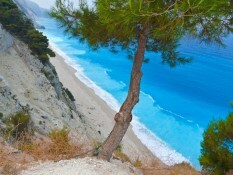 Behind the beach is a mountain with pines growing down to the shore. 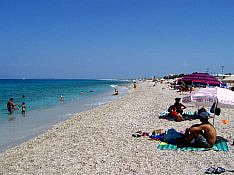 The beach is mostly covered with sand but at some parts you will also find pebbles. 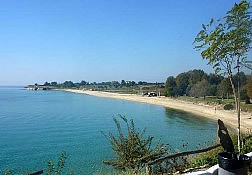 The small beach with pure waters in the village of the same name, in front of cafes and tavernas, is preferred by families. 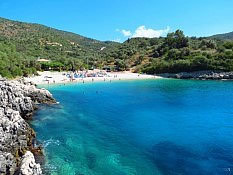 On the left, between Mylos and Aghios Nikitas there is another stunning beach Ammoudoula, accessible only by swimming or boat where the cave Fokotrypa can be found. 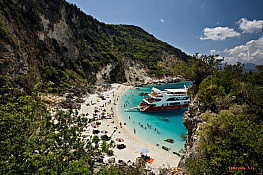 Once the favourite of campers and nudists, Kathisma is today Lefkada's most cosmopolitan seashore beach, organized with umbrellas, loungers, beach-bar and restaurants. 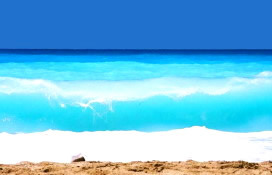 When the northwesterly wind is strong the waves are high. 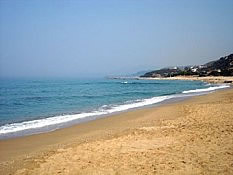 The beach is sandy and the sands can get really hot during the summer months. 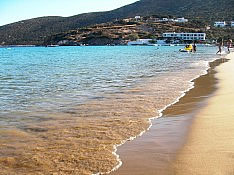 There are three sandy beaches near this village, with turquoise waters, white pebbles, sand and rocks for all preferences. There is a cafe and a few umbrellas and deck chairs. 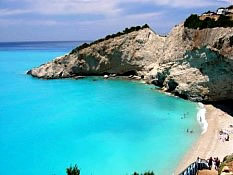 Megali Petra is another beach not to be missed while in Lefkada. 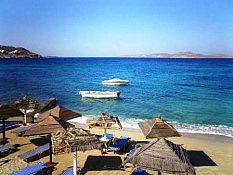 Located very near Kalamitsi beach, Megali Petra has been named after the huge rocks that are scattered on its waterfront, meaning "great rocks" in Greek. 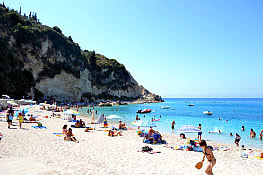 The beach is partially organized with sunbeds and umbrellas and features a long descending road and a little of walking to reach the shore. 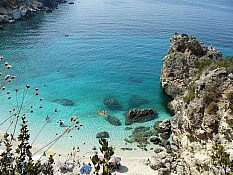 A very nice beach with the typical Ionian combination of colours! 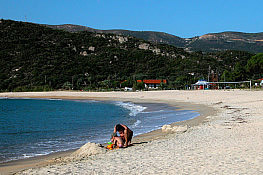 Just before the village of Athani there is a big sandy beach popular with campers. There is a canteen on the beach. Athani has some lovely taverns situated in it and the sunset is spectacular in the evenings. 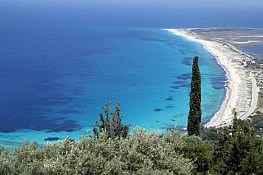 We highly recommend you having dinner in Athani and watch the sunset over the Ionian Sea. 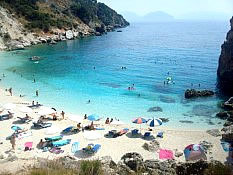 Vassiliki beach is beloved by wind surfers. 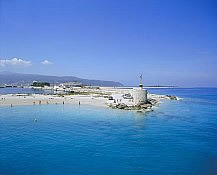 It is classed among Europe's three best beaches for windsurfing. 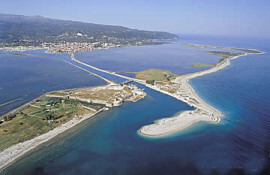 This is where the International Water Sports Festival takes place. 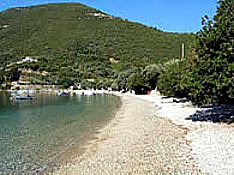 The beach is long with pebbles near Vassiliki and sandy beaches down the bay at the area named Ponti. 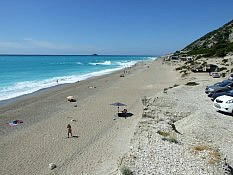 Located near Vassiliki, Aghiofili pebble beach is one of Lefkada Island's best. 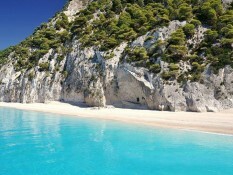 It is in a a very pretty cove surrounded by white cliffs. Take your snorkel and goggles with as a variety of fish can be seen. 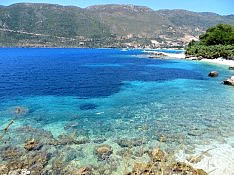 The waters are a pure blue-green. 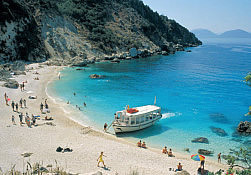 You can get there by boat from Vassiliki or there is a small dirt road from Vassiliki harbour going past Apollo Hotel. 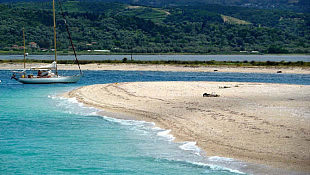 Close to Vassiliki off the main road to Lefkada (just passed Marantohori), Ammoussa is a small, lovely pebble beach. 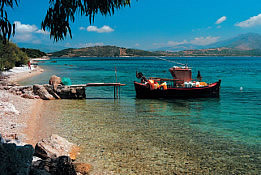 There is a lovely taverna on the water front with chairs and tables. 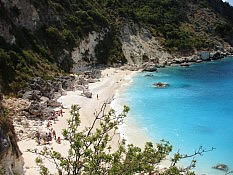 Also Episkopos, Nikiana and Periyiali beaches on the eastern side of Lefkada Island begin just after the picturesque harbour of Lygia which is 6kms from Lefkada. As far a Nydri you will find countless and quiet beach spots. 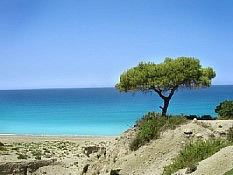 The scenery is striking, especially in the Nikiana area where the greenery reaches almost to the water's edge. There are restaurants and lodgings all along the coastline. Mostly frequented by people staying in Nydri, it is fairly crowded. The beaches are gently shelving, of pebble/shingle. Sand has been added to some parts of the beach. 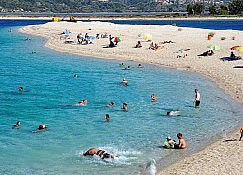 The water is clear, without currents, and warms up quickly during the summer. 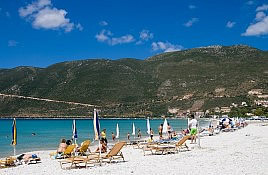 Sun beds and umbrellas can be hired on the beach, water sports are available, motorboats can be rented, and there are plenty of friendly waterside bars and tavernas. 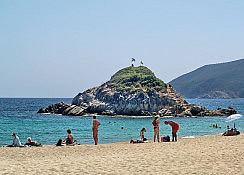 In a bay on the outer shore of Vlychos peninsular, it is a small and sheltered beach perfect for canoeing, to explor the little sandy coves and caves along the coast. 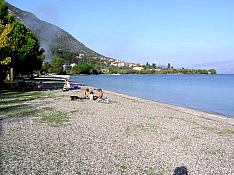 The beach is pebbly, with two organised camping sites nearby. Preferred by wind and kite surfers. 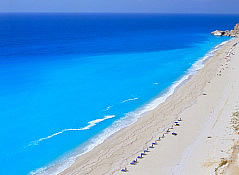 The beaches cover a 4.5km stretch and the waters are turquoise coloured. 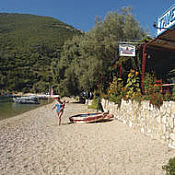 Many tavernas and cafes can be found on the waterfront. 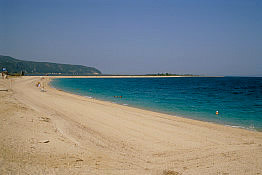 A particular popular beach opposite the hamlet of the same name. The long beach has both sand and shingle. There is a paved road which leads to the beach. 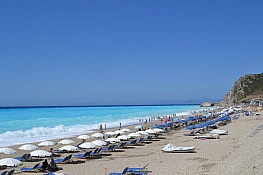 Bars, cafes and tavernas can be found on the beach front. 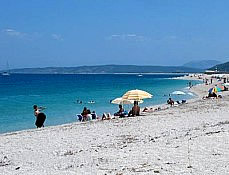 Kastro Beach is located on the north-eastern side of the island. 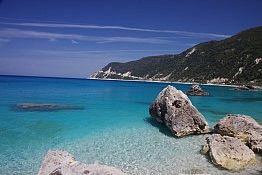 It is quite near to Lefkada Town (about 2 min. 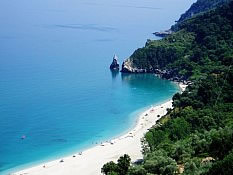 by car) and can be found between Ammoglossa Beach and Gyra Beach. 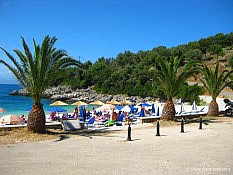 Kastro Beach is easily accessible by a paved road and has free parking available next to the beach. 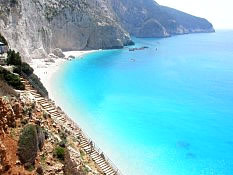 There are buses from Lefkada Town to Kastro Beach, but you can also go on foot (about 15 – 20 min. 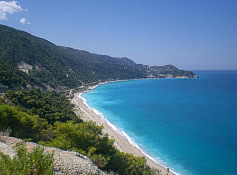 walk from Lefkada Town). 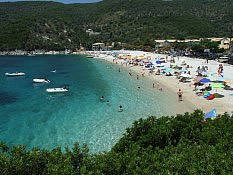 Kastro Beach is a very long white sandy beach with crystal clear blue waters. 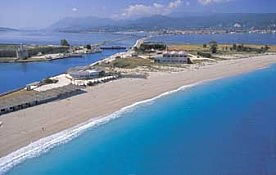 Ammoglossa beach is found right next to the floating bridge of Lefkada, and boasts a beautiful coast of golden sand. 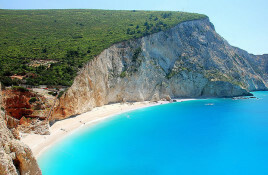 Its name is taken from its weird shape, meaning Sand Tongue in Greek, since it really resembles a tongue of sand entering the sea. 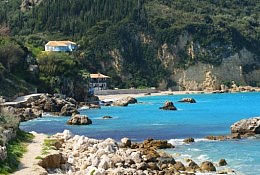 Ammoglossa is very near Lefkada town and is ideal for families as the waters surrounding it are pretty shallow and the scenery looks like more like a small lagoon than a beach, Ammoglossa beach has white sands and a pure blue sea.